A fully featured machine at a fair price with a convection oven feature, but some problems with product quality in some instances. The Conair Cuisinart CBK-200 offers a robust set of features plus a convection oven feature that promises more even baking crust in a relatively shorter period of time. Based on customer reviews, 50% of owner gave the machine 5-stars. However, the ratings did not gradually decrease and jumped to 18% for a 1-star rating. The fundamental complaint from the 1-star reviews was the overall functionality of the machines. It seems that there are product quality problems with some units that result in them simply not working. They won’t start, won’t turn on or after a few uses develop a grinding noise related to the kneading paddle and its drive belt or the convection feature. The 50% who were very happy with the machine and gave it 5-stars obviously received a well functioning unit. Great bread, we use it several times every week. It just seems that some “lemons” have emerged from the manufacturing process and the pattern of complaints related to this issue is significant. 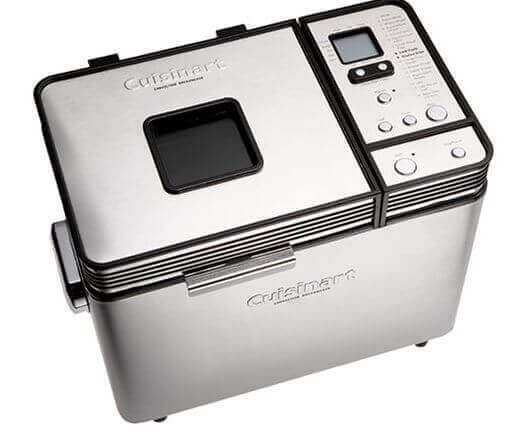 Like most bread machines, the Conair Cuisinart CBK-200 is manufactured in China. Unlike many other machines that we’re reviewed that were also manufactured in China, this particular model seems to have some production line problems. I own a Conair Cuisinart CBK-100 and have had no problems with it. In fact, we did a review of the CBK-100 and the general comments from owners were very positive. You would expect the CBK-200 to be better and it is as it relates to features, but if you choose to purchase this model make sure you bake a loaf or two quickly so you have time to return it if it’s defective. 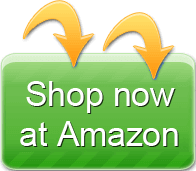 The Amazon return period is 30 days and the Cuisinart CBK-200 has a 1-year limited warranty from the manufacturer. Assuming you receive a quality product, the features of the Conair Cuisinart CBK-200 are impressive for the $133 price on Amazon.com as of this writing. The Conair Cuisinart CBK-200 offers 16 pre-programmed settings including gluten free, low carb, 100% whole wheat and an Artisan setting. Because low carb baking has different ingredients, baking time is different. You do not want to over-mix or over-knead. These are in addition to standard settings such as basic or white bread, plus dough settings and settings for cakes, jams and jellies and pasta dough. Yes it does. 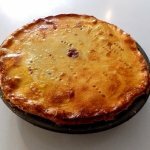 I use the dough setting all the time on mine for making pizza dough. Great great! I use the GF cycle every week to make the bread for my daughter’s lunch. Like most machines it offers three crust color options including light, medium and dark. It also has a convection feature for more even baking. It also has a 12-hour delay-start time, but remember to avoid recipes with dairy or egg ingredients any time your use a delayed start. The lid features a viewing window like most bread machines but there is no internal light for viewing so you may need a small flashlight to observe the progress of your recipe. The bread pan has a non-stick coating and while Conair did not identify the type of non-stick coating, most non-stick coatings in bread machines are Teflon or a Teflon derivative like PTFE or diamond-flourine. The machine bakes loaves in 1-pound, 1.5-pound and 2-pound sizes. The bread pan is described as horizontal but it’s actually appears to be a cross between a horizontal bread pan and a vertical bread pan. It makes horizontal bread. It’s not a long loaf, but not the the same as other loafs that the earlier style bread machines made and some still make. There were also some concerns about the kneading paddle coming off the spindle during the kneading process. I have noticed that when I prep something under 2pounds it happened to me too. The machine does not have an automatic fruit and nut hopper but offers an audible beep when it’s time to add additional ingredients. The machine also offers a 15-minute pause option. The control panel is easy to use and has raised buttons but it does not have a backlit screen. 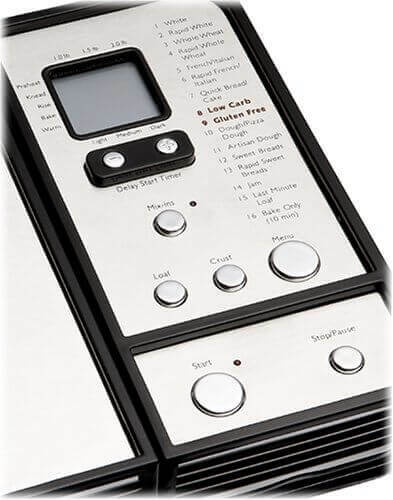 The recipe book offers clear instructions and good amount of recipes for each pre-programmed setting. 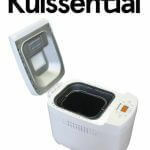 We’ve seen many complaints about recipe books with other bread makers, but the book for the Conair Cuisinart CBK-200 appears to be very good with no complaints from owners although the convection feature does seem to cause problems for some recipes. The machine weighs 16 pounds and measures 19 x 16 x 13 inches. It comes in a combination of polished and brushed aluminum. There were no complaints about the machine traveling or walking during the kneading cycle. This is probably due to its fairly hefty weight at 16 pounds. The size of the machine is relatively large and some owners felt it took up a lot of counter space. There were contradictory opinions about noise levels but all bread machines are quite noisy during the kneading cycle. The machine bakes perfect white loafs but burns whole wheat like charcoal on every crust setting. When I called Cuisinart the response I was given “well I guess you will just need to bake the whole wheat loaves in the oven”. Doesn’t that defeat the purpose of a bread MACHINE! You so hear when the dough is kneading, but in my opinion, it is quieter than other bread machines I have had. As an owner of the Conair Cuisinart CBK-100 I was both surprised and saddened to hear that there are so many fundamental issues with the basic functionality and operation of the CBK-200. If you choose to buy one make sure you test it quickly to ensure you have a good unit. If you do you will probably be very pleased with your results. If it’s defective return it immediately and hope that any replacement unit will not have the same issues. This is the worst bread maker we have ever owned. Received it as a wedding gift and did not use it for over a year. First loaf we made the mixing paddle stuck to the mixing shaft. Could not remove the bread without breaking it into pieces. We used several more times, lubricating the mixing shaft with the same results. After the third use a loud noise developed inside the case. 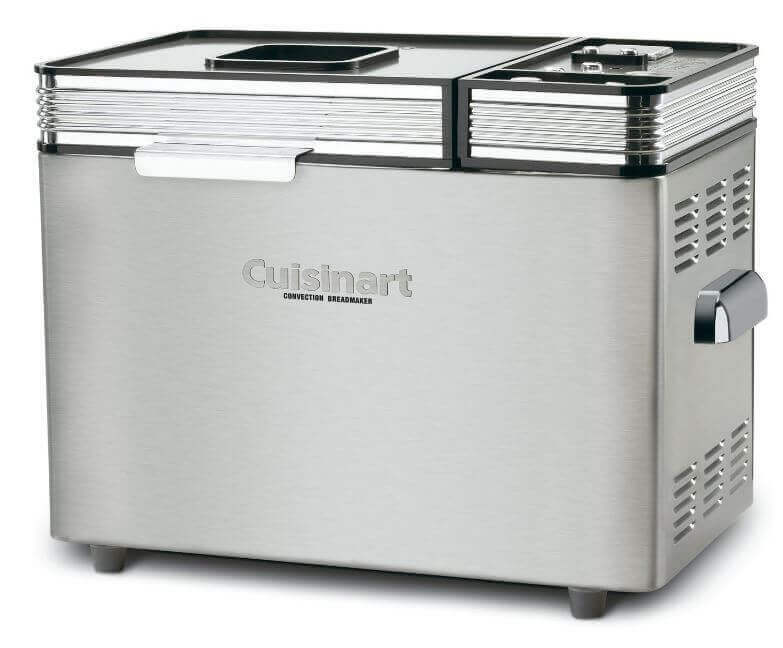 After calling the company support line the only concession cuisinart would make was to offer a 25% discount for another bread machine. We have two other cuisinart products. New food processor with defective blade, the company said it will replace. Three months and still waiting. cuisinart hand mixing wand equipped with a safety button that must be depressed to activate. Safety mechanism makes it almost impossible to use.